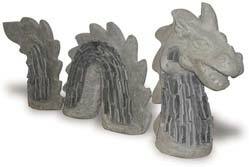 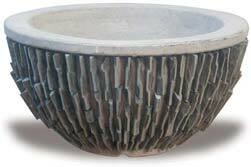 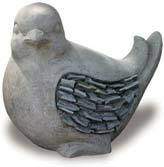 The slate pottery and animal sculptures are made from a concrete body with slate pieces hand placed in a mortar mix. 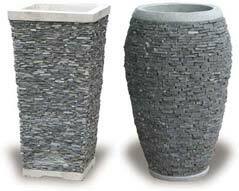 This classic pottery looks best in natural settings and are well suited for commercial use because of their heavy weight. 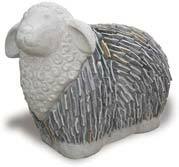 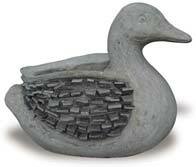 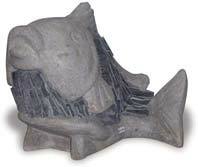 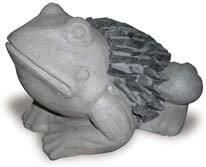 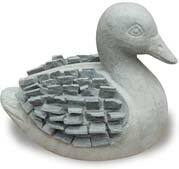 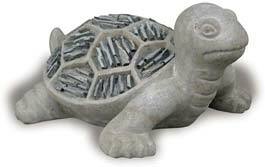 The selection of slate animal sculptures are also very popular.